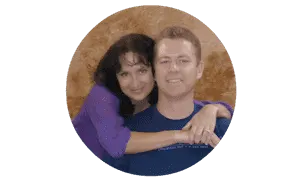 South Africa is a blend of cultures. Over centuries of colonization and immigration, the indigenous cultures were influenced by Europeans from the Netherlands, Germany, France, Portugal, and Great Britain. Europeans, in turn, brought slaves from Asia, including India, Malaysia, and Indonesia, which also had a unique influence on the culture. Each population brought their own food and styles of cooking to the region, as well. 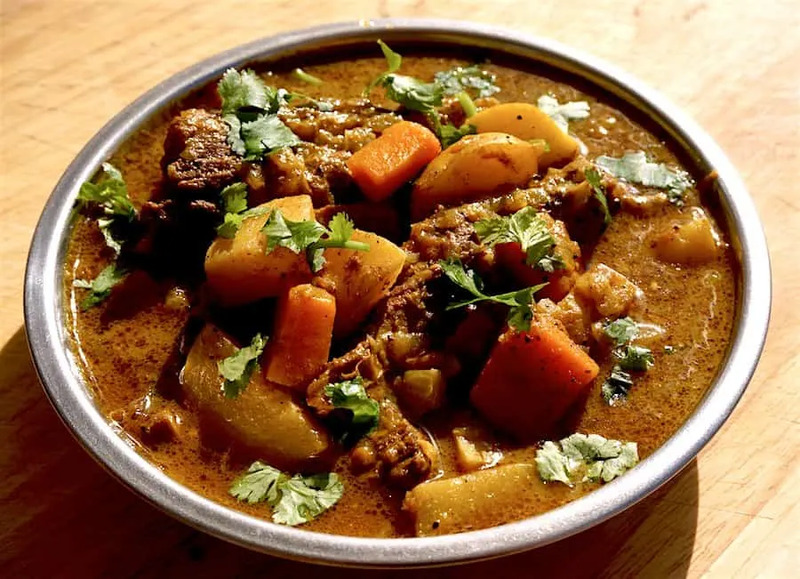 Today, “typical” South African specialties range from air dried meat and sausage (biltong and boerewors); barbecued meat, chicken and fish (cooked on a “brai”) ; Indian-influenced samosas; all sorts of game; meat pies; and of course, there are the curries. 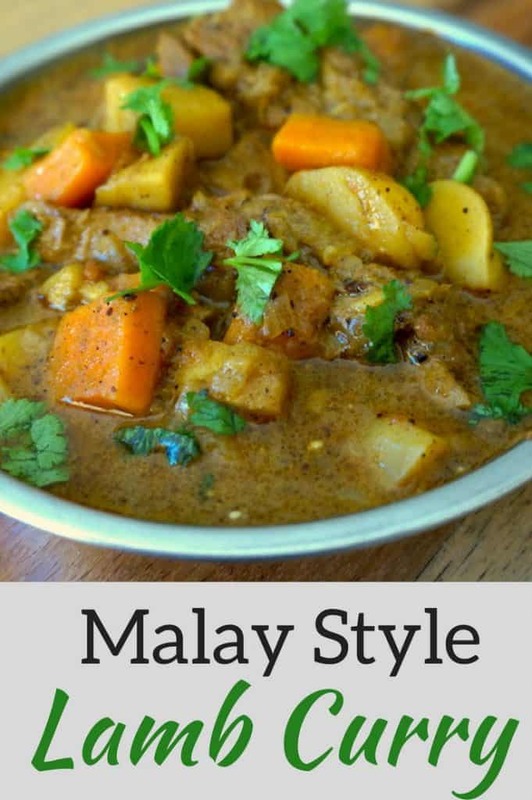 The Cape Malay people, who trace their ancestry back to the slaves transported from Southeast Asia (particularly what is today Indonesia) have a unique cuisine similar to Indonesian food. 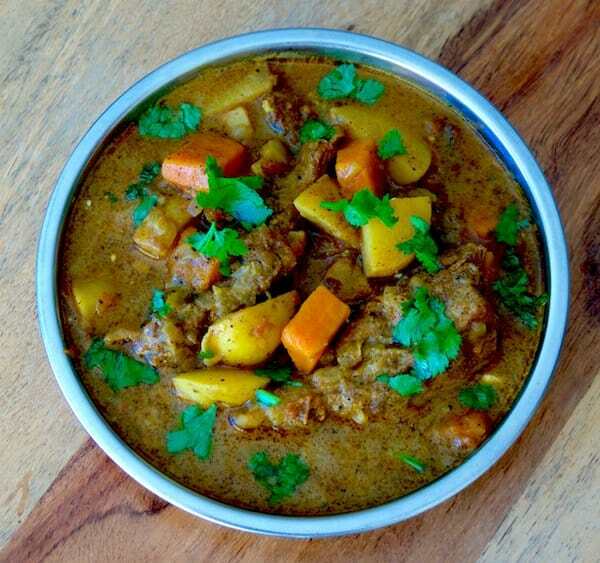 We met a chef in Cape Town who shared her family recipe for a traditional lamb curry, on which we partially based this recipe. We’ve added potatoes and carrots to give the curry more body. The final addition of crí¨me fraische (or yogurt) isn’t typical of this type of curry, but it adds a layer of creaminess to the spicy mixture that evens it out nicely. Add garlic, carrots, and potatoes, and all the spices.